Recently my brother-in-law and his girlfriend were in town for a short weekend trip to go explore Olympic National Park. Before their arrival we had just returned from vacation in Canada and had zero time to grocery shop before heading off to Washington’s west coast. The morning we left for our trip we had a lovely breakfast of oatmeal with whatever toppings I had at hand. I made a big batch of steel-cut oats, pulled out my pantry staples and microwaved some frozen mixed berries to make a quick sauce so people could have their choice of toppings. I spread it out over our counter and let everyone build their own bowls. When Aidan (my brother-in-law) saw the spread he said something that has since inspired me to write this blog post. Well, I would eat oatmeal a lot more often if I had a spread like this one! This comment took me aback because everything that I used were items I typically have on hand. Nothing was fresh. I explained this to them and quickly realized they had just not stocked their pantry yet. Oh how that’s about to change! Having a well stocked pantry (dry goods, along with fridge & freezer goods) in my opinion is ESSENTIAL in making plant based eating a breeze. Especially for my favorite breakfast of all time…OATMEAL. Having foods on hand even if you are not using them that day, week or month gives you the freedom to be creative, save time, and save money! 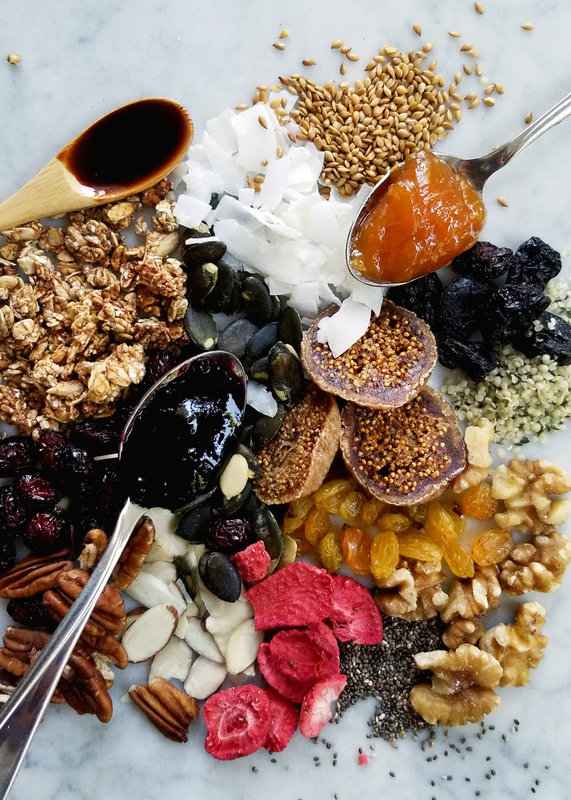 When I asked a large group of people what their favorite oatmeal toppings were the majority of them circled back to a few great basics: blueberries, bananas, brown sugar, raisins, and walnuts. While these combinations are delicious they are somewhat limited. With a fully stocked pantry (or even a growing pantry) you give yourself options to mix and match things you never would have before. 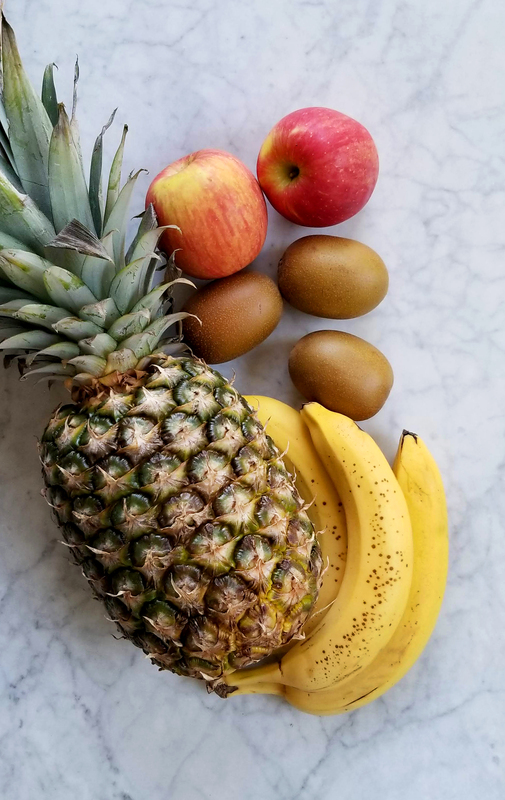 While having fresh produce, like bananas, berries, and peaches are wonderful especially while they are in season and perfectly ripe, they do take a little more time to wash and prepare. 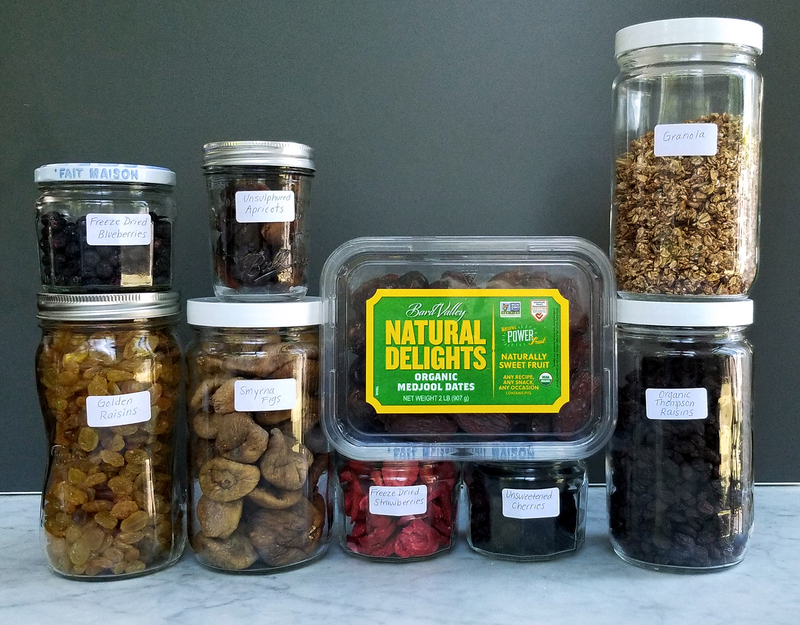 If you are in a hurry it can be beneficial to just grab and go with nuts and seeds, dried fruits, and quick sweeteners. If you have very little to no time to prepare oatmeal you can always make overnight oats where you combine oats and their toppings with your favorite plant milk and let it sit overnight in your to-go container. This is a great option if you plan on eating your meal later in the morning after the gym or at the office. 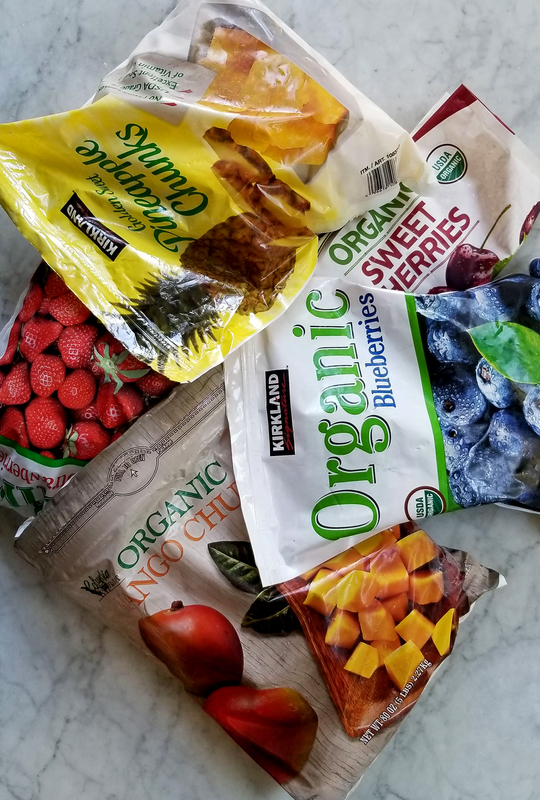 Another quick option is making instant oatmeal baggies: combine instant oats, seeds, dehydrated and freeze-dried fruits, and brown sugar; then mix in a Ziploc bag. When you are ready to eat, just pour the contents into a bowl/mug/travel cup/camping cup and add hot water. This is always a great option for having a satisfying breakfast on a plane. Probably the most important aspect of building a pantry is that you are purchasing items that do not spoil quickly, so they can be stored for a long time. Because of this wonderful trait when you see items at the store (or online) on sale…buy them! However much you can fit in your particular kitchen space. The oats themselves are a great item to find on sale. I personally buy my Old Fashion Oats at Costco, you get 10 pounds of oats for about $8.00, that’s about 7 cents per serving! I put what I need into my pantry containers then keep the remainder in a sealed baggie in my garage. Since Amazon acquired Whole Foods their prices for bulk items such as Steel Cut Oats have plummeted. When the Steel Cut oats are on sale (~ 99 cents per pound), I try to get 5-8 pounds and store the same way as my old fashioned oats. Other items that go on sale frequently (when you are least expecting it) are canned fruits (I frequently see 10 for $10 deals in Safeway and Kroger), bulk nuts, and jams. Over the years I have found that if I can visibly see my ingredients, I will be more likely to use them. Having containers that are clear and well labeled has led to more use and serves as a great reminder to refill certain items. Whatever containers you choose for your ingredients make sure they are easily accessible, not buried or hard to reach. When we lived in Denver I had a very small pantry and I ended up having a massive basket full of Ziploc baggies of bulk items. Because I could only see what was on the top and rarely felt like sifting through the massive pile, I ended up only using the top ingredients. When we got to a bigger space I put my bulk items into jars so they could stack and not get lost. So what kind of containers should you use? Whatever suits your budget, personality, function, and space! ($)Deli Cups. 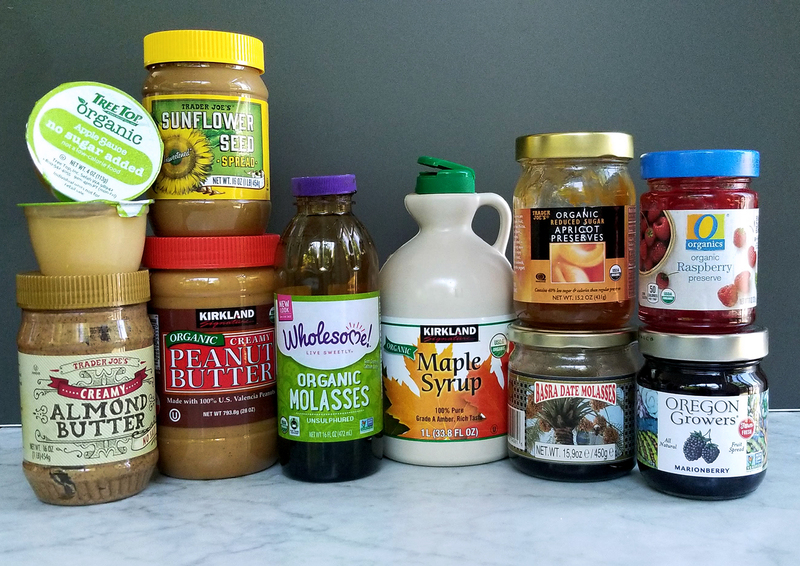 Weather you purchase a bulk amount online or slowly collect containers from the bulk section of the grocery store ( next to the self-churned nut butters) plastic deli containers are a fantastic budget option for pantry goods. They are clear, sturdy, and easy to store. ($)Re-used jars and Bottles. * My Favorite* Need some low budget and sturdy containers, look in your recycling bin! I find that the best jars, in a variety of different sizes, come from things we already purchase. Glass or plastic, you can use containers from peanut butter, pasta sauces, pickles, mayo, fancy juices, jams, relish, mustard, and olives to name a few. I give them a good wash, remove the labels and store them in the garage until I need them. ($$)Mason Jars. If you are into canning you may already have a stash of matching jars. Mason jars come in a variety of sizes and shapes and are pretty well priced weather you buy them online from Amazon or in store from a discount shop like Walmart. While they do provide a similar aesthetic, the tops are comprised of two pieces, rather than one. If this is not something you want to deal with on a daily basis, look into another option. ($$$) Gourmet Jars and Canisters. 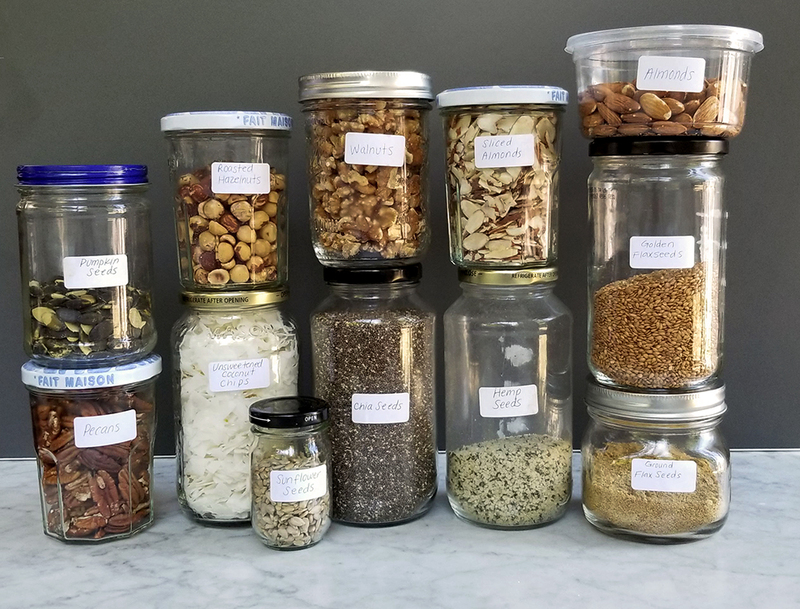 This category is pretty broad but it basically means any glass/plastic/metal containers that have a sleeker design, unique shapes, or food preserving functions. OXO Air Tight Food Storage Containers are a great plastic option which come in a variety of sizes and are a safer option if you have a bunch of kiddos reaching into your pantry for snacks! Bail and Trigger Jars are very popular with people who want a more farmhouse look to their pantry, they also naturally have a great seal. Artisan Canisters are containers for people who have Pinterest worthy kitchens and more generous budgets. These are my personal “dream kitchen canisters” because they are just so clean and beautiful. They are begging to be filled with glorious ingredients and displayed for all to see! When you have decided what containers work best for you make sure that you label them! You can use a pen specifically meant for glass and mirrors, or simple white labels from an office supply store. Most office supply stores also carry “kitchen labels” which come off easily when washed. Whatever you choose, labeling your goods is great especially if other people are looking for items in your pantry and don’t know what the ingredients look like (it could happen). #2. Start buying your pantry ingredients. I don’t think I need to convince anyone here how incredibly healthy oats are for you but here is a friendly reminder. Oats are one of the healthiest and most delicious grains on earth. The are packed with fiber, vitamins, minerals, antioxidants, and are a reliable source of healthy starch and protein. Oats are versatile and come in many forms from whole groats to instant, making them a great option in a variety of cooking scenarios. The more “whole” you eat your oats the more satiating they will be, but don’t let that stop you from eating any type of oat you can get your hands on. Any type of oatmeal has more health benefits that your standard american breakfast! Oat Groats- for the oat purist, this whole dense chewy variation has the most fiber and highest satiation while also taking the longest to cook. Steel-cut Oats aka “Scottish or Irish Oats”- my personal favorite, these are groats that are chopped into pieces rather than rolled, it takes longer to cook but they still provide a toothsome chew while embodying everything we love about porridge. Old Fashioned Oats- when whole oats are rolled rather than chopped, creating a flat disc that absorb more liquid and takes far less time to cook. Quick Cook Oats- these are pre-cooked, dried, and then rolled for “instant” cooking times. All you need to do is add hot water to re-hydrate the grain. These are a great option for camping or traveling if you cant cook your grains. Jams & preserves ( I love raspberry preserves, orange marmalade, and apricot jam) try to buy brands that have low or no added sugars. Why do I keep seeds in the refrigerator? 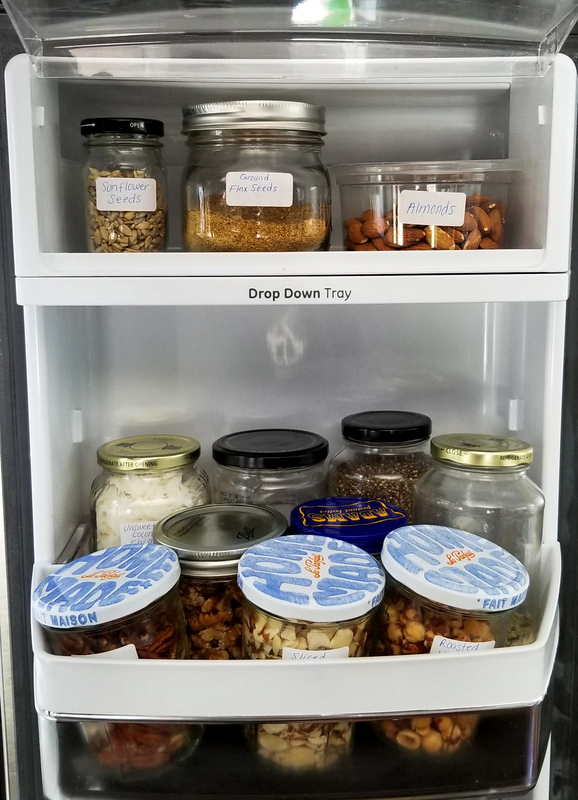 Seeds turn rancid faster when exposed to heat and humidity, so to extend their shelf life I keep them in a sealed dry container in the refrigerator rather than the pantry. A note on flax seeds; the nutrients in flax seeds are only absorbed if they are ground. I keep a jar of the whole seeds in my freezer and a smaller jar of ground seeds in my refrigerator. This way I only grind small amounts at a time, preserving their nutrition. and any other frozen fruit you love! Why do I freeze raw nuts? Nuts, like seeds have a very high oil content and go rancid quickly with heat, moisture, and light. I tend to use seeds more often than I use nuts so I keep them in the freezer to last longer. For these dry staples try to get things with minimal ingredients, no added sugars or oils, and preferably unsulfured. While I don’t consider these to be part of a “pantry” they are a great addition to a beautiful bowl of oatmeal. I recommend buying with the seasons so that the produce is at its peak ripeness and bursting with flavor. When your toppings are seasonal you can never get bored with the same old combinations, they should be constantly changing and evolving as your tastes and curiosity grows. If you are making steel cut oats, which take longer to cook, MAKE A LARGE BATCH. Then you will have cooked oatmeal at the ready in your refrigerator throughout the week without having to cook it from scratch every day. Utilize your equipment. If you have a rice cooker, pressure cooker, or Instant Pot make your porridge in these machines. This will eliminate the need to constantly stir and watch your oatmeal and in some models, they will hold at temperature for up to 72 hours. So you can make a batch of steel-cut at night and have it hot and ready in the morning, no reheating necessary. If you are in a hurry, or don’t want to heat up a pot utilize your microwave. My standard breakfast includes 1/2 c. rolled oats with 1 c. of water and I microwave on high for 2 minutes(uncovered). It’s perfect every time. Thick or thin? If you enjoy oatmeal a little on the thicker or drier side just use less liquid when you are cooking. If you enjoy it more like porridge at water or plant milk to thin out your oats. Force yourself to experiment. Now that you have built this amazing pantry of toppings, try combinations that you never would have before. You will be surprised at how different each bowl can be.